We’re excited to now offer Fraxel! Our practice is excited to be the first plastic surgery clinic in Queensland to offer its patients access to the medical grade fractionated ‘Fraxel’ resurfacing technology. The state of the art ‘dual’ laser strategically penetrates the skin to remove pre cancerous cells, sun damage. It also reduces scars, softens lines and wrinkles - and stimulates collagen production. Used in hospitals and day surgery centres, Dr David Sharp Plastic Surgery now provides unprecedented access to Fraxel, under the supervision of a qualified surgeon. Treatments take 30 minutes and can be tailored to target any part of the face or body for sun damage, solar keratosis or scar revision, by stimulating the body’s own responses to controlled trauma. Starting from $450, it cannot currently be claimed through Medicare or private health funds. 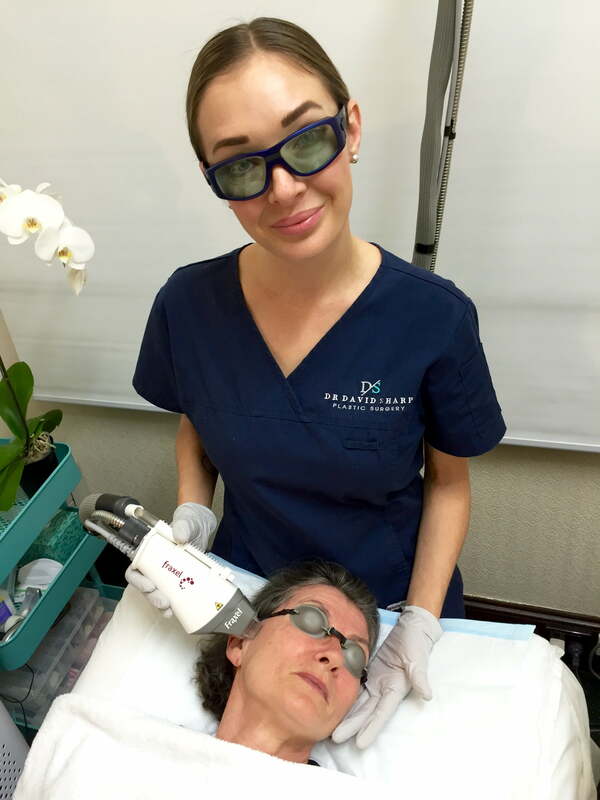 Skin Consultant and Laser Certified technician Deborah Seib-Daniell, who has been working with lasers for over a decade, said the most satisfying aspect of delivering the treatments was the confidence-boosting results patients see. “Often patients believe there’s was nothing that can be done to reduce the sun damage, pigmentation or scarring on their bodies,” she said. Dr Sharp said his clinic – which had to undergo rigorous certification to add the laser to its line up of non surgical laser treatments – selected the treatment not just for its ability to turn back the clock for ageing skin; he hopes one of its primary uses will be to treat the high levels of pre cancerous skin growths experienced in Queensland, and generate a greater awareness of the importance of good skin health. “This is not a fluffy skin treatment that you can get anywhere; it is a powerful technology and is highly regulated to ensure patients get results in a safe, regulated medical environment,” Dr Sharp said.